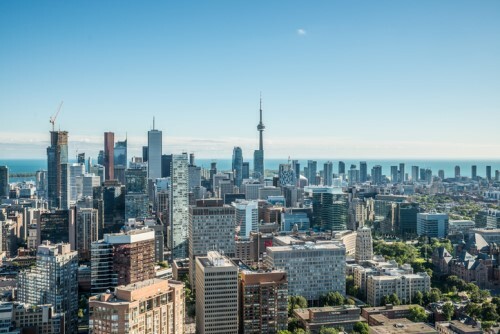 More high-rise buildings for commercial investment will soon arise in Toronto and Vancouver, with two leading developers announcing the erection of major office towers in the near future. Allied Properties REIT and Westbank said that their upcoming projects would “reshape” these markets’ downtown areas, as the structures will offer significant space to Canada’s flourishing technology sector. Tech companies – many of which have already taken roost in the country’s largest commercial markets – have been hailed by observers like Marcus & Millichap as the main drivers of activity in the office property sector. The industry’s influence will only swell further, as tech giants like Microsoft, Google, and Amazon are predicted to spend billions in office expansions and hire tens of thousands of new workers over the next few years. In Toronto, the 264-metre Union Centre building will arise near Union Station. The project will offer 1.7 million square feet of office and data-centre space along with an event venue. In Vancouver, Allied Properties REIT and Westbank will be constructing a 500,000 sq. ft. tower beside BC Place. This project is slated to become one of the city’s most expansive office buildings so far.